In my last article, I wrote about the Standard format for the Collinsville Regional Championships, by going over what I had considered the four “Tier 1” decks in Standard: Pikachu and Zekrom-GX, Zoroark-GX, Zapdos, and Malamar. Since then, we’ve had quite a few tournaments around the globe – three Standard Regional Championships and four Standard Special Events in total – plus the usual smattering of League Cups and other local events. We are now thoroughly deep into the SUM-TEU format, despite still having about a month to go in the quarter. So far, tournament results have continued to favor those same four decks that I wrote about back in February. Those decks have made up 46 of the 56 Top 8 spots in those aforementioned Regionals and SPEs – an 82% success rate – and have won every event with the exception of Collinsville Regionals, which was won by Zach Lesage’s Blacephalon-GX / Naganadel. I had commented before about how remarkably unsurprising the Standard format had been since the release of Team Up; over a month later, it remains the case that Team Up Standard has been incredibly predictable! For the most part, the meta remains centralized. 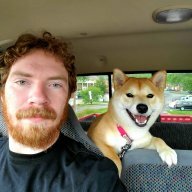 There have been some decks that have gone up or down in popularity, but those appear to be changes from within the non-Tier 1 share of the meta, as opposed to a shift away from those four Tier 1 decks. Out of the non-Tier 1 decks, two certainly deserve consideration as having had results that are clearly better than the rest of the field, putting them into a sort of Tier 1.5. Those two decks are Blacephalon-GX / Naganadel, and wall / stall decks (Regigigas / Hoopa / Energy removal). These two decks, in addition to having performed well in my own testing, have made up nine of the other ten Top 8 spots (6 and 3 respectively), and had multiple Day Two finishes in addition. The two have also been rather popular League Cup plays, despite issues that Wall can have in best of one formats. The Wall decks can be divided into those with and without Vileplume, though the general strategy for both variants is about the same. Both of these decks are popular enough that one should have a reasonable expectation of running into them in Denver. So, since my last article focused on the “Elite Four” Tier 1 decks, for this one, I’ll instead be focusing more on those two Tier 1.5 decks: Blacephalon-GX and wall. I’ll also take a brief look at how the lists for the aforementioned four decks have changed since Collinsville, and of course, finish up by telling you what I’ll be playing in Denver! We’re now about a week away from Denver, and yet my expectations remain pretty much the same as they were heading into Collinsville. Lighting decks, Malamar decks, and Zoroark-GX / Lycanroc-GX will make up the majority of the field, and likewise games against those decks will make up the majority of your tournament matches. I do think it is worth noting that in Collinsville (the one Standard tournament we have complete meta information for), those four archetypes made up about two-thirds of the field, yet were able to take ~80% of the Day 2 spots, on par with the Top 8 results that those decks have had in the other major events. This implies that the decks were actually able to over-perform in Day 1; that is, their comparative strength in terms of results isn’t due to simply being more popular than other decks, but because they actually are stronger than most of the less popular concepts out there. The four decks have continued to dominate events, and there haven’t been any rogue decks popping up that appear to threaten that dominance. Moreover, the results have been rather well distributed; that is, no deck has managed to establish itself as the “deck to beat”. This is rather important, as it both means that there isn’t a clear favorite as far as which of the four will be the most popular, and that there isn’t an obvious group of counter decks or techs that we can expect. Prior to Collinsville, the strong performance of Lightning decks at the OCIC made it somewhat easier to predict that Fighting-types and Lightning counter decks would be more prevalent. Zoroark-GX + Fighting-types did end up being the most played archetype in Collinsville, as expected, and Fighting decks were among the more popular of the non-Tier 1 decks played. We don’t seem to have that luxury heading into Denver, so it is difficult to say which of the four appear to be the most threatening, or which one a player would be more likely to encounter. While Malamar does appear to have the least results as far as tournament finishes, that was also the case at the OCIC – and yet Malamar variants were the second most-played decks at Collinsville, ahead of both Zapdos and PikaRom, which had performed much better. All in all, I don’t think that you can reliably make the case for any of the four decks as far as predicted popularity going forward; which deck is more popular at a given tournament appears to be dependent on the particular makeup of whatever player base happens to be at that tournament. A big problem for any off-meta deck trying to break through into Tier 1 is the variety of decks and strategies within that top tier. The Lightning decks are aggressive, and cut down both other aggressive decks (by outclassing them) and slower setup decks, Stage 2 decks in particular. 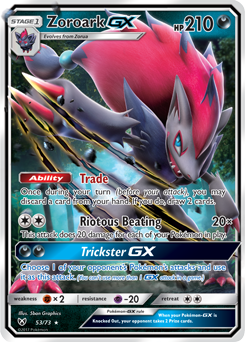 The Zoroark-GX decks outclass any other mid range variant, due to their versatility and superior consistency. Tanky decks such as Celebi and Venusaur-GX and Magikarp and Wailord-GX also struggle, thanks to the practically unlimited damage output of Malamar. Basically, there aren’t any decks that are reliably better than the Tier 1 options given a particular strategy, nor do there exist any decks which can reliably win against all of those strategies. With that said, it is certainly possible for a non-Tier 1 deck to have a positive matchup against some of the Tier 1 decks, or even a highly favorable matchup against one of them. For decks that can compete with the Tier 1 decks, and still hold their own against the rest of the randomness in the format, there is certainly a place in the format; these decks make up the Tier 2 and below options. 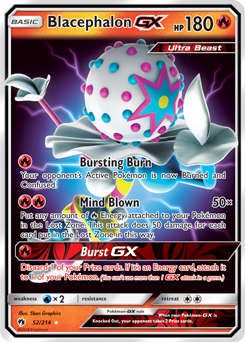 Of those non-Tier 1 options, the two archetypes that appear closest to breaking through are Blacephalon-GX and wall variants. Blacephalon-GX has had a consistent presence at tournaments, a presence which have only increased since Zach Lesage’s Regionals victory. The deck fills the aggressive deck lane well, and unlike the aggressive Zapdos or PikaRom decks, isn’t easily countered by Alolan Muk or teched Fighting types. Wall decks have had less of a presence, but have been steadily threatening despite their lower numbers. Collinsville was an excellent example of how these decks can win in a format that isn’t prepared for them, as the deck was able to obtain multiple Day 2 spots, as well as a third place finish. Both of these decks have established themselves well enough to be threats in Denver, and I would expect to hit at least one of the two, if not both.